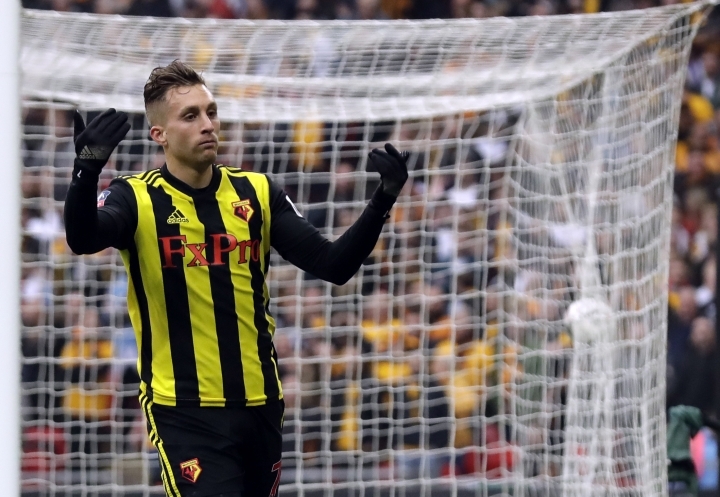 LONDON — Gerard Deulofeu was watching from the Watford bench when Raul Jimenez followed up scoring Wolverhampton's second goal with a pre-planned celebration. 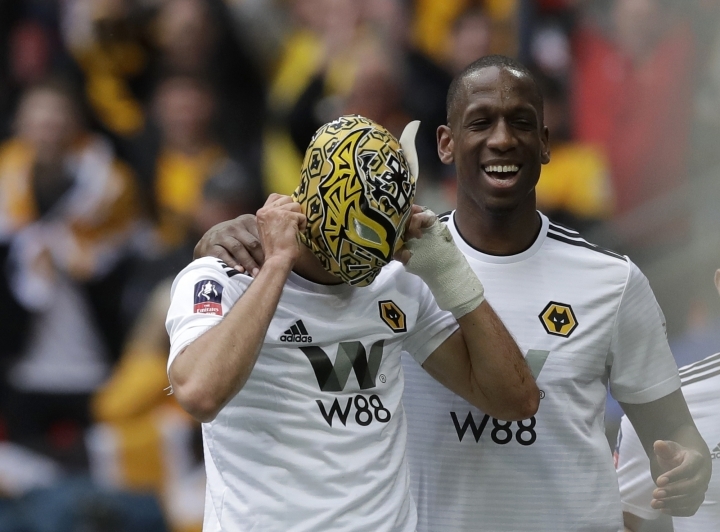 Jimenez's bravado — even with Wolves holding a 2-0 lead after 62 minutes thanks to Matt Doherty's first-half strike — had proved far too premature. "He knows I am angry because I was playing all season," Deulofeu said. "What I have to do is what I did this afternoon." After a goal relying on ingenuity came an equalizer that was due to Troy Deeney's nerves of steel. 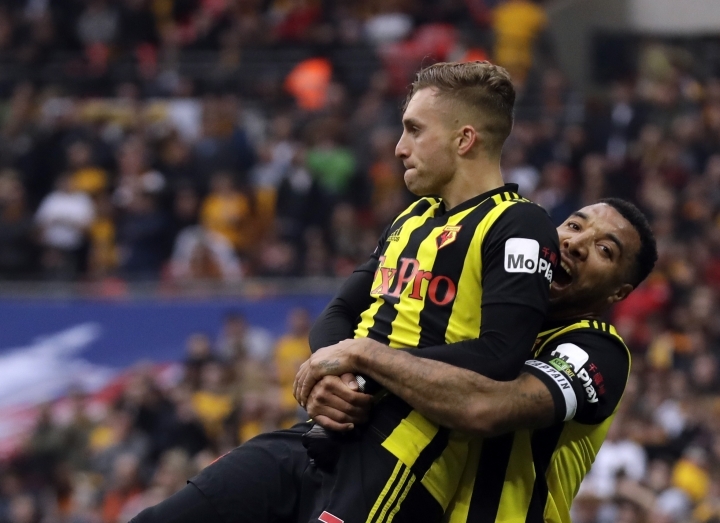 With the game in stoppage time, Deeney was softly tripped by Leander Dendoncker and slammed the resulting penalty into the net to send the semifinal into extra time. "It shows the character of this team," Deeney said. "We don't give up." Deulofeu, who twice failed to carve out a career at Barcelona, certainly doesn't. "Coming from teams like Barcelona (and AC) Milan, they play a different style than Watford," said Deulofeu, who was substituted in the 112th minute. "But I have to adapt myself to those characteristics and that's what I did and what I'm doing now." "This team has something special," Deeney said. "We're not the most talented. We're not all that. But the hard work and desire at 2-0 down, many teams would've called it a day but we kept fighting and kept going and brought the little man on, who produced a bit of magic. "We've got room to grow, there's not a ceiling on us yet ... For a club of this size, let's enjoy this moment." "We are going to come and have a go," Deeney said. "There is such belief in each other and what we are doing." "It's a tough moment of real pain and disappointment," Wolves manager Nuno Espirito Santo said. "The feeling is we had it. It went away from us. We have to look at it. We have to realize in the last minute of the game we should manage better." 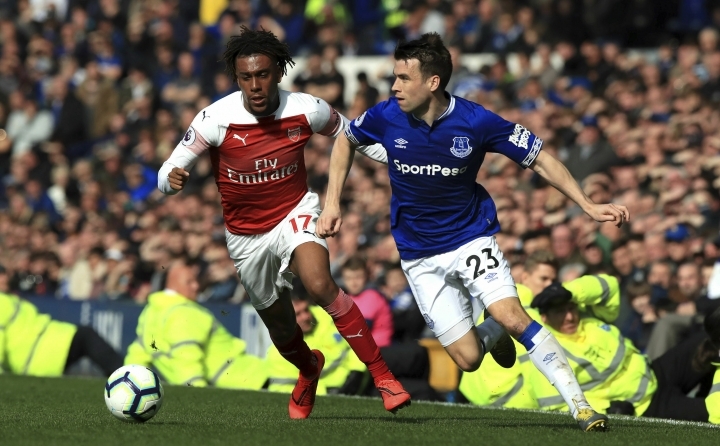 In the day's only Premier League game, Arsenal missed a chance to strengthen its chances of Champions League qualification when it lost 1-0 at Everton. The center back was a late replacement for the ill Michael Keane to make only his fourth appearance of the season. It was Jagielka's first goal in almost two years. "It is a bad result, not a good performance," Arsenal manager Unai Emery said. "But we are fourth."